QOTW: Which CPU cooler are you using? When speccing a new rig it's easy to see why some components take precedence over others. The CPU and SSD have a noticeable impact on speed and responsiveness, the GPU determines your gaming experience, and the chassis dictates how pretty the machine will be. But the less obvious parts can be just as important. A high-quality PSU bodes well for longevity, and if you're hoping to balance performance, heat output and low-noise operation, a decent CPU cooler is a must. 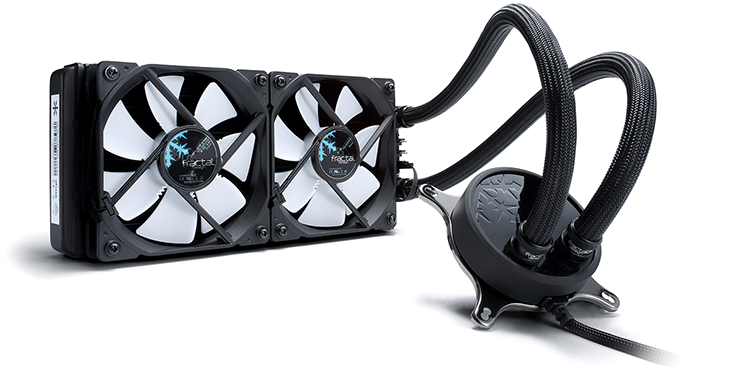 Today's solutions include meaty heatsinks and fans, all-in-one liquid coolers of various sizes, and for the enthusiast custom loops that really look the business. Plenty of choice and significant cost consideration, so this week let us ask: which CPU cooler are you using? It would be interesting to know which chip resides beneath, and how the cooler is faring with regards to temperature and noise. Share your experiences using the comments facility below. Old rig: 5-year old Corsair H100i 240mm cooling a i5-4670K @ 4.4Ghz. Overall very quiet and kept the processor under 65c most of the time. Everyone's situation will be different between ambient temps, cpu vcore if overclocking, case design, no. of case fans etc. New rig: Thermaltake Floe 280mm for an i5-8600K @ 4.8Ghz. Ambient temps around 23c, load mid 50's. Pump is quite noisy at idle, almost like there is an air bubble in there, but once any kind of load is put on the system it goes quiet. Very strange!